I am sure you have heard many times that meditation is good for you. However, the truth is that most people cringe at the thought of sitting still and trying “not to think.” If this is the case for you, and you want to get all the benefits of meditation, then I have good news for you. Technology makes it possible for everyone - including yourself - to meditate deeply, even if you have zero experience. Best of all, it is easy to do and fun. Let’s first look at all the benefits that meditation can offer you: Hint, no single pill in the world has this power! It all comes down to the power that is already within you, you just need to unlock it. And, meditation will help you do just that. Over 1,400 studies have shown that meditation is not only good for your mental health, but your physical health as well. If you are still not sure if meditation is for you, let me tell you that it doesn’t mean you must light incense, struggle with your mind to be quiet, and sit crossed legged on the floor. You can get all the benefits by sitting in a comfortable chair and putting on headphones. Everything that you do comes down to your level of consciousness. Your thoughts, actions and how you feel about yourself and the world, are all a function of your brainwaves. In each moment, your brain sends out an electromagnetic signal into your body, and also into its environment. 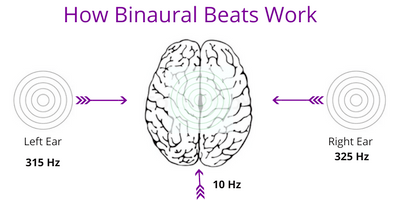 These brainwaves not only affect your physical body, but also determine how you feel. For example, when you are reading this article with an alert mind, your brain emits “Beta” brainwaves. This is the state associated with concentration and making rational decisions. However, most often, when you find yourself stressed out, your brain emits high Beta waves, which are associated with stress and the breakdown of your body’s cellular functions. Most people are constantly locked into the stress mode and your body simply cannot heal when your brain emits such waves. Start Meditating Like a Monk and get all the Health Benefits! Just put on Headphones and listen to my Guided Healing Meditations. On the contrary, brainwaves that are lower in frequencies are called “Alpha” waves. This is the state associated with daydreaming, meditation and healing. When you lower your brainwaves even further by relaxing your body, you will shift into a “Theta” state. In this state, the body is also healing itself and your intuition is greatly enhanced. This is also the state right before you fall asleep. When you are sleeping, your brain creates “Delta” waves. In delta, you are not dreaming but sleeping very deeply. Gamma (38-100 Hz): Very rare state, associated with spiritual ecstasy. High Beta (22-38 Hz): High stress, fear. Beta (12-22 Hz): Attention, critical thinking and analyzing. Alpha (7.5-12 Hz): Relaxation, meditation, imagination and physical. Theta (4-7.5 Hz): State between being awake and asleep. Visualization, intuition, creativity, meditation and physical healing. Delta (0.5-4 Hz): Deep sleep, physical regeneration. ​Experienced mediators have trained their mind to such a degree that they can easily slip into a Theta or Alpha state. When they do, the critical thinking mind that constantly judges, criticizes, or thinks about problems becomes silent. This is a very pleasant state of being but most people have a hard time achieving it as in our society, we have trained our minds to constantly think and to be active. The good news is that with the help of technology, you can also achieve this meditative state by simply putting on headphones. 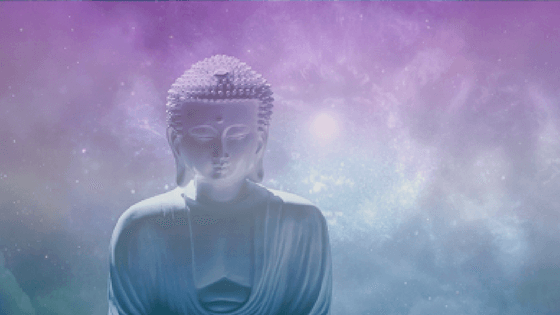 “Binaural Beats,” also called “Brainwave Entrainment,” is a wonderful technology that helps you meditate very quickly and deeply, even if you are a beginner. It is a perfect tool when you are busy and want to fit 20 minutes of meditations into your schedule to get all the benefits that meditation has to offer without it being a struggle. By listening to music that is recorded with this technology, you will automatically and without any effort on your part lower your brainwaves into an Alpha or Theta state. By using headphones, different frequencies will be played into each ear. For example, a 315 Hertz frequency will be played into the left ear, and a 325 Hz frequency will be played into right ear. Your marvelous brain now calculates the phase difference, which is 10 Hz, and will automatically lower its overall brainwaves into a 10 Hz frequency. This is exactly the frequency you want as it is associated with the Alpha state. The effects are often immediate and you will be able to feel relaxed, refreshed, calm and energized after just a short time listening to the music. Just make sure to use headphones as this technology will not work otherwise. You can get additional benefits if there is also a “voice over” embedded into the music, that will guide you into an even deeper state of blissful relaxation. All my guided meditations and energy clearings, which you can find in my shop, are recorded in such a way. You can try them out for 30 days and if for some reason you don’t like them, simply request a refund. So now it’s your turn. Put on the headphones and start meditating like a monk to become happier and healthier!